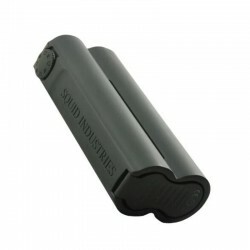 The Authentic Squid Industries Double Barrel V3 is a new version of Double Barrel V2.1 box mod. 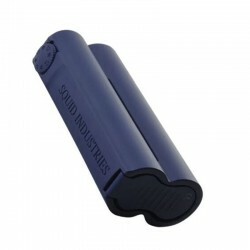 The Squid Industries Double Barrel V3 is a perfect combination of visual and hand feeling. Powered by dual 18650 batteries (NOT INCLUDED), the Double Barrel V3 can fire up to the max output of 150W. The Double Barrel V3 features a 0.47 inch flat top OLED display. 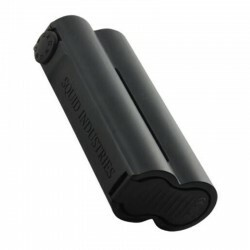 The most obvious benefit of this flat top structure is that it can avoid condensation liquid entering into the Mod, effectively preventing the device being damaged. To ensure the compact appearance of the device, the V3 adopts one-piece battery cover for convenient operation. Plus the multi-function fire and various protections, the Double Barrel V3 is definitely a safe and simple device. 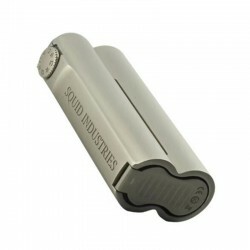 Such a great looking mod, Awesome to see Squid Industries are listening to their customers with regards to flush mounted screen, inproved battery door and 25mm atty compatibility, would give my eye teeth to win a mod like that!!!! Friken awesome mod!! !